Yip Man Biography: Introduce Yip Man the Grandmaster of modern Chinese Wing Chun Kung Fu. Principles, theories and techniques of Wing Chun kung fu are founded on three hand form and the wooden dummy techniques. Responsible for the art of Wing Chun Kuen coming into the modern public eye, his teaching has become a cornerstone of the modern martial arts era. Yip Man Profile: Yip Man (simplified Chinese: 叶问; traditional Chinese: 葉問; pinyin: yè wèn, Cantonese Jyutping: jip6 man6; Ip Man; also known as 葉繼問 1 October 1893 – 2 December 1972) was the first martial arts master (Chinese: Sifu) to teach the Chinese martial art of Wing Chun openly. He had several students who later became martial arts teachers in their own right, including Bruce Lee. Yip Kai Man was the last Wing Chun student of Chan Wah-shun  when he was 70 years old. He was born to Yip Oi Dor and Ng Shui, and was the third of four children. He grew up in a very wealthy family in Foshan, Guangdong, and received an exceptional traditional Chinese education. His older brother was Ip Kai Gak. His older sister was Ip Wan Mei and his younger sister was Ip Wan Hum. 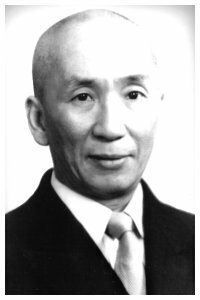 The late Grandmaster Yip Man, was without a doubt responsible for the art of Wing Chun Kuen coming into the modern public eye. He also was in a direct line of Wing Chun practitioners dating back nearly 200 years to the art’s fabled beginnings at the original Shaolin Temple in Honan Province. Prior to publicly teaching in Hong Kong, Wing Chun Kuen was famous from previous masters such as Leung Jan, but it was a mystery to most people in terms of it’s actual form and content, as it was taught to very few. That changed once Yip Man began teaching in Hong Kong until his death. From his students spring the largest amount of Wing Chun practitioners in the modern world. Nowadays, there may be many variations from his original teachings, but he was the undisputed Grandmaster of his time. As the rightful patriarch of the Wing Chun style of kung fu, he succeeded in spreading his obscure but dynamic fighting art first throughout the British Crown Colony of Hong Kong and then throughout the world. He had developed a reputation as a superlative fighter. He had stood up to hard stylists and soft stylists, to instructors and students, and even to a foreign devil or two. Yet despite his small five foot, 120 pound frame, never once had he lost. Today, 90 percent of Wing Chun schools in the world can be traced directly to his efforts. His teaching has become a cornerstone of the modern martial arts era. The bare-boned efficiency of his fighting techniques, coupled with the knowledge that he was Bruce Lee’s instructor, caused millions to regard his art with awed curiosity, Wing Chun means magic to them. Throughout the world, wherever instruction is not readily available, martial artists have at least attempted to imitate the subtleties of the art’s sticking and trapping techniques. Wing Chun is a very unique and scientific form of martial arts. Wing Chun’s specialty is in close contact combat, using quick punches and kicks with a tight defence, coordinated through agile stances and fotwork for a quick advance. The effectiveness of Wing Chun is achieved by well coordinated attacks with simultaneous defence and vise versa. The student must learn to deliver the correct amount of energy, whilst staying relaxed when possible. Wing Chun is sometimes referred to as Ving Tsun, Wing Chun Kung Fu (or Gong Fu), Wing Chun Boxing, or even Wing Chun Kuen (fighting) amongst some other names. This is because Chinese text does not translate precisely into Western letters or even western speech. However the name is not the important thing. The most important thing is that the Wing Chun student learns an effective form self defence and fighting. Wing Chun is Kung Fu. Kung Fu roughly means time and effort and originally referred to any skill painstakingly developed. Recently Kung Fu has become synonymous with martial arts. Unique to Wing Chun is “Chi Sau” (or Chi Sao), a form of training to help develop and put into practice your techniques and theories you learn during your training. Chi Sau teaches and help you to develop, responsive reflex, position, how to overcome your opponents strength, correct usage of energy and taking advantage of the shortest possible distance between you and your opponent. The principles, theories and techniques of Wing Chun are founded on the three hand form and the wooden dummy techniques. Training begins with “Sil Lim Tau” (little idea), “Chum Kiu” (bridge seeking), “Biu Gee” (thrusting fingers). Then the serious of students will learn “Muk Yan Ghong” (wooden dummy), “Luk Dim Boon Gaun” (six & a half point pole) and finally “Bart Cham Dao” (eight cutting double knives). Pictured top left is Grandmaster Yip Man (sometimes referred to as Yip Man), in the only known photograph of him wearing a suit. Yip Man taught many famous martial artists including the late Bruce Lee. To the right, Yip Man’s sons Grandmasters Yip Chun and Yip Ching, and their student, Samuel Kwok. Traditional Yip Man Wing Chun Kung Fu Academy NYC is located in College Point, Queens. Feel free to visit the school if you are interested in observing, enrolling, or if you would like to further discuss any of our ideas or your own. However, we would ask that you please arrange a visit via email or phone in advance of one of our scheduled classes. Samuel Kwok, under the guidance of Ip Chun and Ip Ching, continues to represent Traditional Ip Man Wing Chun in Europe, as he has done for many years. Use the links at the top of the page to navigate the site, and learn more about the Traditional Ip Man Wing Chun style. The Site contains many Videos and Photos of Wing Chun in action. In the true spirit of Wing Chun and with the aim keeping the art practical and efficient, Samuel Kwok has trained with many different martial arts masters over the years. This includes masters from Brazilian Ju Jitsu (BJJ), Mauy Thai, Kickboxing and professional boxers. This has ensured that Samuel Kwok’s teaching of Wing Chun techniques is of the highest quality and always practical. ” Our aim is to respect the wish of grandmaster Ip Man. About 6 weeks before he died he asked his 2 sons and his student Lau Hon Lam to film him performing the Wing Chun system as practice by him. He only managed Sil Lim Tau, Chum Kiu and the Dummy form. This is because he was in a lot of pain and was weak and unsteady on his feet. He was going to do Biu Gee, the Knife form and long pole. However Grandmaster Ip Chun and Ip Ching and Sifu Lau Hong Lam stopped Ip Man because Biu Gee, the knives and full pole form require a lot of energy to perform. We will be uploading new videos and photographs regularly so please check back with us often as there will be much more content added in both the Media and Articles pages in the future. SiFu Lee wishes to express his deepest appreciation to the late Grandmaster Yip Man, the late SiFu Lok Yiu, and SiFu Duncan Leung. It was Yip Man’s dream to make the Chinese martial art Wing Chun, a well respected fighting system around the world, and through tuition by his sons, Samuel Kwok has played his part over the last twenty five years. Sam Kwok has helped bring Wing Chun to the forefront of Martial arts practice today. Grandmaster Kwok has wrote a couple of great Wing Chun Books and made many Wing Chun Videos and DVDs which help students across the world improve their Wing Chun. There are many Wing Chun schools and instructors up and down the United Kingdom, as well as across Europe, in Denmark, Germany, South Africa, Australia and the United States to name a few. Many of the Sifu’s at these schools owe a great deal of their understanding of the art to the influence of Samuel ‘s teaching of traditional Yip Man Wing Chun.